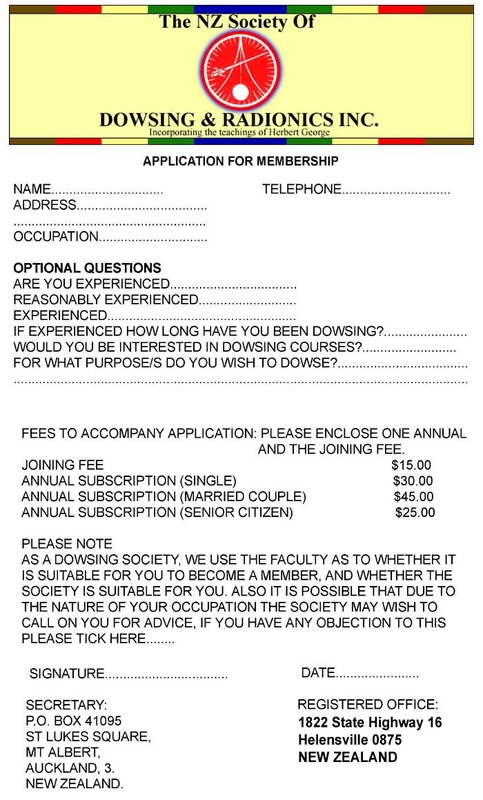 Membership of the New Zealand Society of Dowsing and Radionics Inc. Please print a copy, fill in and post with a cheque to the address on the form. (may take a while to load).